Last week, the National Highway Traffic Safety Administration (NHTSA) issued an advisory urging the public to act immediately on recall notices impacting 7.8 million cars with Takata airbags. 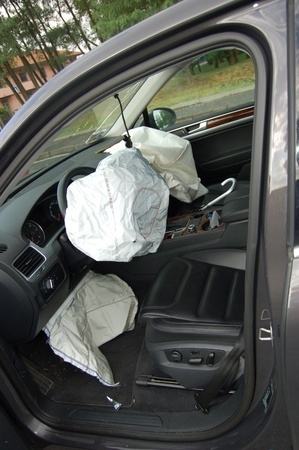 The airbags are now linked to four deaths and more than 100 injuries. If you have not already done so, please immediately check if your vehicle’s airbags have been recalled. Visit Safercar.gov. Select your auto manufacturer and enter your vehicle identification number, or VIN. While car manufacturers are required to notify owners of recalls, do not wait to receive a letter for the company. While many of the airbags were previously recalled, you may have missed an earlier letter or may not have appreciated how serious the recall actually is. The recalls involve Toyota, Honda, Mazda, BMW, Nissan, Mitsubishi, Subaru, Chrysler, Ford and General Motors. More than 5 million of the cars are Honda models. Many are older vehicles from the 2000-2007 model years. After you check the site and contact your dealer, be prepared to wait. Unfortunately, many dealers do not have the parts they need to meet demand. Prior to last week’s announcement, 2014 was already the worst year ever for auto recalls, with 50 million vehicles recalled. One in five cars in our country has a defect. General Motors (GM) paid a $35 million fine last spring and has recalled 26 million vehicles. Why are the airbags defective? How long will it take to get a replacement part? It is hard to say. Some dealers already have the replacement parts ready, but others are on back order. Some car manufacturers are warning car owners not to carry front-seat passengers until the airbag defect is fixed. Toyota is telling dealers to shut the passenger seat airbags off in all vehicles that are brought in until new parts are available. Can I get alternate transportation? Probably not. It is unfortunate, but most of us will have to wait for the new parts to arrive. Your local dealer may also offer you a trade-in. I did not buy my car from a dealer. I bought it from a private party. Check your paper work from your car’s sale for the name of the dealer who originally sold the vehicle. If you cannot find this, contact any local dealer of your vehicle and ask them to assist you. Should I purchase a car under recall? Unless the specified repair has been made, a dealer is not allowed to sell you a car under recall and you should never purchase one under recall from a private party either. When you are looking to buy a car, write down the model and year, then search for it online at SaferCar.gov or the Consumer Reports Recall database. I was planning to sell my car. You should wait for any serious defect to be repaired before selling your car. This is the safest and most ethical option regardless of the law. But there are laws to consider, including the Massachusetts Used Vehicle Warranty Law, which states private party sellers have to disclose defects to buyers. The Boston product liability lawyers at Breakstone, White & Gluck have over 100 years combined experience representing clients injured by negligence in Massachusetts. If you have been injured, learn your rights. For a free legal consultation, contact us at 800-379-1244 or 617-723-7676 or use our form.